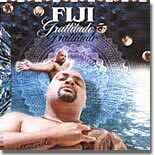 Here's the new release from Fiji, sure to be one of the most requested albums of this summer. Hawaiian Soul music, the songs speak of the many lessons of life including our relationships with others and the rhythm in life. Beautiful love songs, easy listening with a good beat and a great voice make a super combination that works like a charm again and again.